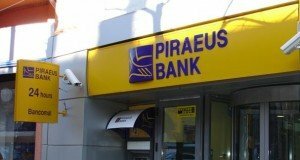 Piraeus Bank, Greece’s largest bank by assets, plans to sell its wholly-owned subsidiaries in Romania, Albania, Bulgaria, Ukraine and Serbia as part of its “Agenda 2020” strategy to reduce the foreign exposures, according to Greek online newspaper ekathimerini.com. “Our vision is to be the most credible bank in Greece. Our strategy plan makes sense and is not pie in the sky. 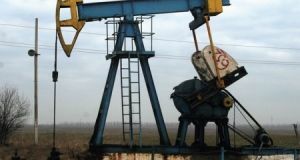 Our goals are demanding but achievable,” Christos Megalou, Piraeus Bank CEO stated. Piraeus’ plan includes shrinking the bank’s non-performing exposures (NPEs) to below EUR 20 billion by 2020 from EUR 33.3 billion in the first quarter and its non-performing loans (NPLs) past due more than 90 days, to around EUR 8 billion from EUR 23 billion at end-March. “By the end of 2020, it is expected that total Group assets will be reduced to EUR 70 billion,” Piraeus Bank says in a statement on its website presenting its development strategy. The lender will look to conduct a disciplined review of all existing businesses, in order to maximise resources deployed in the areas that Piraeus has a historically dominant position, the summary of the strategy reads. 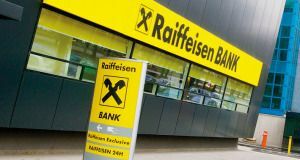 “This will include a simplified Group structure and effective cost rationalisation measures, as well as further optimisation of our branch network and targeted investments in digitalization,” Piraeus officials added. Piraeus, which is 26.2 percent owned by Greece’s bank rescue fund HFSF, is still struggling with problem loans after a deep recession in Greece pushed unemployment to record highs.